What procedures do you offer training on? We specialize in Laser Hair Removal and Intense Pulse Light Photo Facials (for treating age spots, sun damage, broken capillaries, acne, roscea, hyper-pigmentation, skin tone & more on both the face, chest, hands and other body parts). We train on IPL Hair Removal, Laser Tattoo Removal, Fractional Laser Wrinkle Reduction, Radiofrequency Skin Tightening, Laser Acne Reduction, Laser Vein Reduction, Laser Cellulite Reduction, Laser Facials, Microcurrent technology as well as Dermal infusion technologies and advanced Chemical Peels. We spend the greatest amount of our time on the two most broadly used procedures, laser hair removal, and skin rejuvenation. The vast majority of facilities you will work for do their highest percentage of business in Laser Hair and Intense Pulse Light Photofacials. We want you to be the most proficient in the procedures you will be doing wherever you work. There are courses on the market that are as low as $2000 to as high as $10,000. You will find that most of these courses offer anywhere from 16 hours to 100 hours of education. On a hourly basis, we are extremely competitive. However, we are not the least expensive school out there and never will be. We truly believe you get what you pay for. If you are simply just seeking a “certificate of training,” then we are not the school for you. 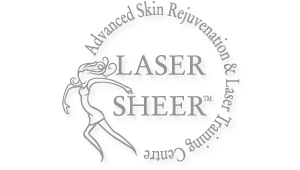 If you are seeking certification by way of the most comprehensive and high quality program in the country, then Laser Sheer Academy is the premier choice. Though we are a great “bang for the buck,” we truly are considered the Cadillac of the industry. Our reputation for setting a standard in the highest quality of education is second to none. One of the keys for us delivering a superior education is everything is presented in an organized and supervised program. We feel it is crucial that your education is a day-to-day continuous instruction presented in a structured fashion. Many of our competitors operate the hands-on/clinical portion as an open lab with a “come and go as you please” environment. We do not believe this is a beneficial manner in which to learn. Why your school and not your competitors? Easy, we are the first school, longest running school, largest school and only school currently approved by both Cutera and Clarion Medical. We have the most structured and thorough hands-on/clinical approach. We are the only school in the country that performs all its clinical observations and treatments at a actual medical spa in a retail setting with real customers! We feel for you to practice what you learn in a real world setting is far more advantageous then a classroom setting. We are the only school in the world that utilizes the top two laser manufacturer´s equipment. We also offer FREE refresher courses if you ever feel a need to come back and do more clinical treatments. Do I have to be a licensed aestitician or nurse before becoming a Laser Technician? Why is it better to be trained at a location with an in-house retail medical spa? Yes! In fact, at our medical spa, we employ a young lady who does not have any background in aesthetics, and is an excellent laser hair technician. Many of our students who made career changes in their lives are finding the Laser Hair Removal/IPL industry to be extremely lucrative and satisfying. Who teaches at your Didactic/Classroom education? What is the marketplace for Skin Tightening/Wrinkle Reduction? The marketplace for such procedures we feel may end up being as big or bigger then laser hair removal. BOTOX ® sold over one billion dollars of injections last year, and the sole purpose was wrinkle reduction. Many people are scared of BOTOX ®, not being sure of its long term effects, not liking receiving a shot, and the concern of BOTOX ® coming from botulisms, which some deem a poison. There is a number of different skin tightening and wrinkle reduction procedures coming onto the marketplace, and we anticipate this will be one of the hottest new technologies and procedures out there within 24 months. I already work as a laser technician, do I need aesthetic laser training? Practical and classroom education in lasers and IPL is vital to being a successful and safe laser operator. Whether you are new to the business or have been utilizing lasers already, this class will benefit you. Stay ahead of the curve, get your certificate and training at Laser Sheer Academy and become an expert in your field and you will stand out above your competition.